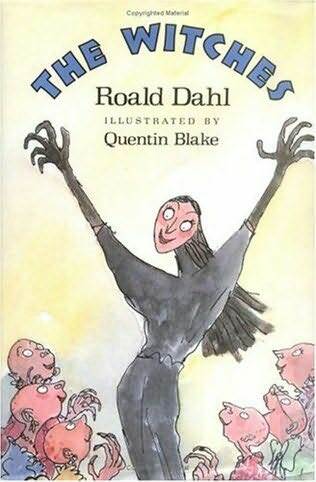 Devouring anything by Dahl was an obsessions for all small boys in my Primary School, but of all his books, The Witches was the one I returned to time and again, and still do. He begins simply, startlingly, by telling the reader that witches really do exist. As a child this was a revelation, and a terror...but keep reading: he tells all we need to know about witches, how to recognise them, and how (hopefully) to outwit them. Dahl is famous for his grisly humour, his resistance to comfort or patronise. But what he does wonderfully is to acknowledge a child’s worst fears (a psychopathic Headmistress, creatures trying to turn children into mice by feeding them potion-laced chocolate) and at the same time indulges their wildest dreams (an extraordinary chocolate factory, an escape from a cruel life on a giant peach, learning the power to overthrow that deranged Headmistress). He tells children that the world can be a dark place, yes, but says too that if you search hard enough, you can discover some magic to light the way. When I wonder about how to begin a novel, these words often return to me: ‘I am afraid. Someone is coming.’ This is how Z for Zachariah begins, and once started it is impossible to put down. I read this novel, like many others, as a teenager. It was part of High School English; we studied it for an entire term, but even that couldn’t weary it. It pre-dates Cormac McCarthy’s The Road and the tide of recent books about apocalypse and disaster, and in clear, lucid prose tells an intimate story about a girl, Ann Burden, fighting for her survival. Her battle to succeed against loneliness, isolation, but also against someone who would attempt to destroy her. 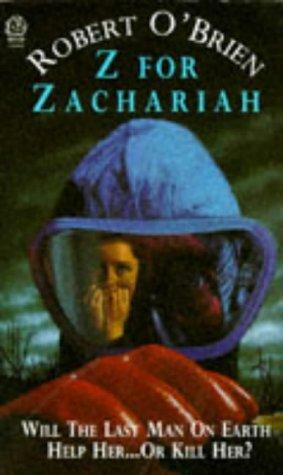 It is claustrophobic, desolate, frightening, and a book I hope teenagers still read (and, if they must, study). Simply put - the novel that made me want to write. At sixteen, this book (intended, I was told, for girls) was something moving, poetic, witty, sharp, beautiful. It is still all those things to me, and more. I read it when I want to be reminded of what I’m aiming for. Margo Lanagan is an Australian YA author, and one of the best. She has written many wonderful short stories; reminiscent of Angela Carter, with her lyrical prose and macabre imagination. But if you haven’t yet read her work then her dark gem of a novel, Tender Morsels, is the place to begin. Set in a dark fantasy world so vivid and vile that you can almost smell its reek in your nostrils as you read, feel the filth gathering under your fingernails, it is a fable about how brutality and love can (and must) live alongside one another in the world. I wanted to include something recent; something not just contemporary but that (in the current climate of historical fiction) is also determinedly modern, and attempts to deal with and make sense of the “now”. Zadie Smith’s newest novel is, I think, her best. As in her previous work, her dialogue is keen and seductive; her portrait of London detailed and vivid, and her observations on class and guilt, marriage and motherhood, and melancholy - faultless. But this is also a bold exercise in style. A modern (or post-modern?) masterpiece. Nigel grew up in County Fermanagh, rural Northern Ireland, and as a child spent most of his time battling boredom, looking for adventure - crawling through ditches, climbing trees, devising games to play with his brother and sister, and reading. His favourite book as a child was The Witches by Roald Dahl. After graduating with a degree in English (and having no clue what to do with it! ), he decided to go off on another adventure, spending almost two years living and working in Australia and New Zealand. With him he took a small notebook containing notes about a boy called "Bruno Atlas", and a seaside town called "Pitch End". When he returned to Ireland after his travels, one notebook had multiplied into many, and eventually his notes for Tall Tales from Pitch End filled a large cardboard box... Nigel now lives in London. He has written articles on film and literature for a number of websites.He is always on the hunt for books about folklore and fairytale. He wishes he had more time to climb trees. Tall Tales from Pitch End is Nigel's debut novel.